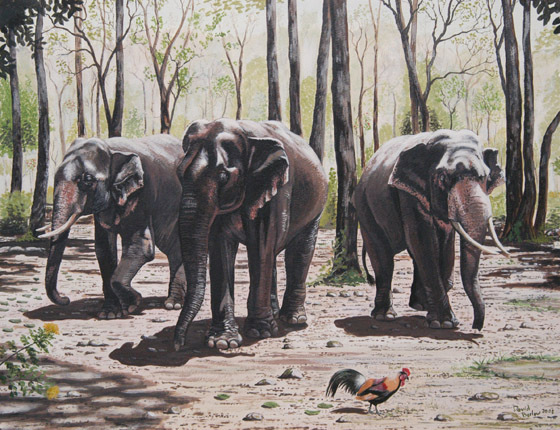 "Asian Elephants and Jungle Fowl"
I am a self-taught artist living in South Devon and am exhibiting at the 'P.A.W.S' competition for the forth time. I have also exhibited at the annual 'Wildart' wildlife exhibition at Paignton Zoo as well as local galleries. I specialise in watercolour studies of wildlife, particularly apes and elephants. Each artist has also been sent a Certificate.